When was the last time you visited the dentist? What about your partner or children? If you said “a year” or more, then that means you’re due for an appointment! Dentist visits are often skipped because of cost, anxiety, or assuming that daily brushing is sufficient. While maintaining a consistent oral health regiment, it’s no substitute for a visit to the dentist! The reason is simple: a dental examination can pick discover potential problems that may be otherwise unnoticeable. . You could have the beginnings of a cavity or gum disease without even knowing it! Catching these problems early on is the best, as well as least expensive, way to prevent them from becoming serious. What is being offered at the new patient admissions fair? We’re giving new patients the opportunity to take advantage of a special offer. This all-day event allows patients to receive a free comprehensive oral examination by our Penn doctors. Your dentist will determine whether you may be at risk for a cavity or other oral health issues. If a problem is detected, you may be advised to get radiographs, which can be done at the office for a discounted rate of $50. 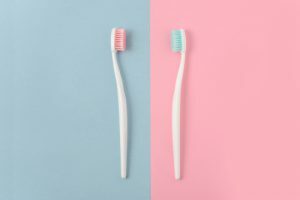 Your examination is important because it provides you with information about your current oral health and what kinds of treatment options are available. You’ll get to enjoy the benefits of individualized attention and personalized recommendations for your dental care at home. At the end of the visit, we’re giving patients a complimentary oral hygiene “goody bag” with all the materials you need to keep up your care at home! When is the fair open? The fair will be open all day on Friday, September 28th, 2018. We will receive both scheduled patients and walk-ins (depending on availability) throughout our normal office hours, from 8:00am to 4:30pm. Services are provided at the University of Pennsylvania School of Dental Medicine clinic at the Robert Schattner Center, located at 240 South 40th Street, Philadelphia. How much does the fair cost? A comprehensive dental examination is offered at no cost. You will not be charged to come to the fair and receive these services. If you choose to receive a dental cleaning during your visit, normal charges will apply. However, because of our educational mission, you’ll be able to access these services at a lower rate than at most private practices. Once your examination is complete, you’ll receive personalized recommendations from your student dentist. In some cases, you may be referred for other services in other departments (for example, prosthodontics, periodontics, orthodontics, etc). Penn Dental Medicine offers nearly every dental service you can imagine all under one roof, which is why many patients choose to stay with us for all their dentistry needs. What ages are accepted? Do you treat kids? We treat individuals of all ages! No matter where you are in life, you can benefit from comprehensive dental care. Especially if you have children, we encourage you to make an appointment by calling 215-898-8965 so that you don’t have to spend time waiting for your turn. What other ways do you cater to patients with different needs? At Penn Dental Medicine, we’re used to treating a wide variety of patients, each having a unique history. Some of our patients come to us with dental traumas and require very sensitive care. Others have special needs, and we’re equipped to work with those individuals in the ways that work best for them. Still others speak languages other than English. Over 40 different languages are spoken by doctors at Penn Dental Medicine, and we strive to match patients with providers who can communicate with them in their own language. If you have financial concerns, don’t worry. We offer discounted services and create payment plans so that you can access the services you need. Each person is one-of-a-kind, and we encourage patients to tell us their particular concerns so we can respond accordingly. We want everyone to feel comfortable at Penn Dental Medicine! Don’t miss our new patient admissions fair! We hope you don’t miss out on this opportunity to enjoy excellent dental care from our highly reputable dental school. Whether it’s been one year or many since you’ve last gone to the dentist, we’d love to see you and your family at our fair day this September 28th. If you have any other questions about the event or would like to reserve an appointment for your free examination, please call Penn Dental Medicine at 215-898-8965 today!